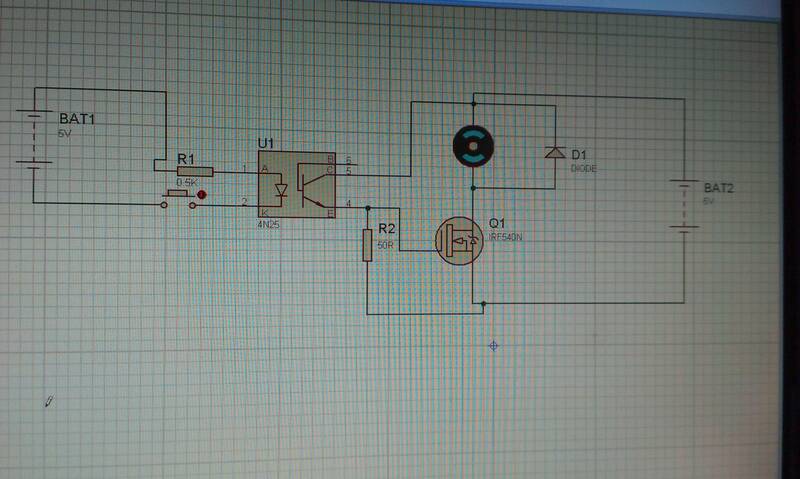 I want to run the mosfet (irf540n) through opto coupler(4n25) for driving the motor. I refered some formula from this website, but my circuit is not working. but this circuit is not working. I tried this circuit too but not working. 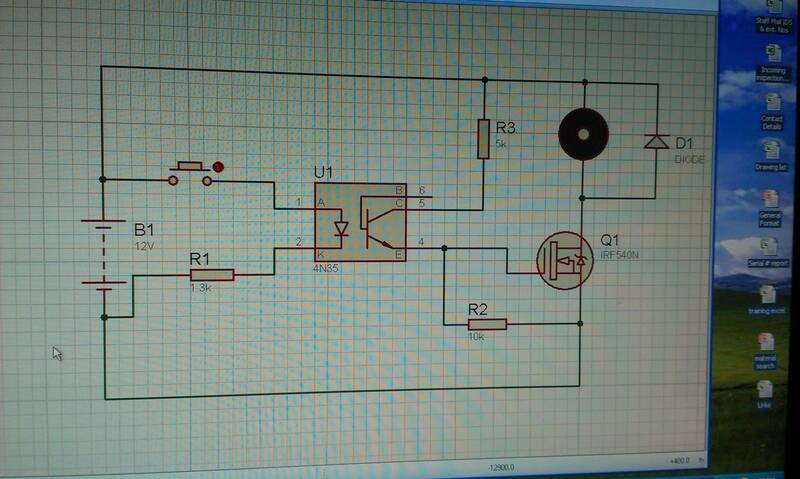 Thanks for your answer, now I attached the image of my schematic. Please check it. Is a circuit that should work for you. D1 and Q1 are used together to form the opto isolator. The values are just ball park, the schematic is just meant for topology purposes. Not the answer you're looking for? 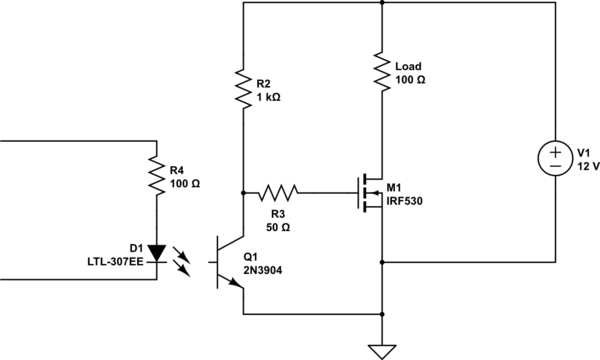 Browse other questions tagged mosfet mosfet-driver or ask your own question. Driving DC motor using a single MOSFET, why does the motor spin without applying a gate voltage?